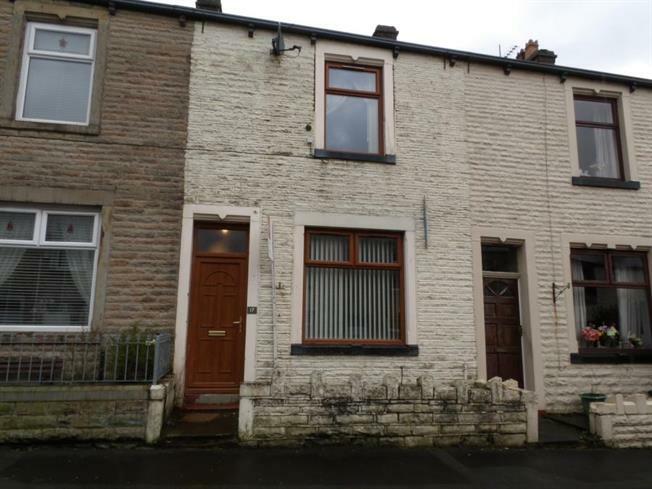 3 Bedroom Terraced House For Sale in Burnley for Offers Over £55,000. Ideal property for landlords! Spacious 3 bedroom terraced style property located close to Padiham Road and local schools. With accommodation to provide 2 reception rooms, extended kitchen, 3 good sized bedrooms, family bathroom/wc, gas central heating with combi boiler, upvc double glazing and a yard to the rear. This property offers good rental potential. Upvc double glazed window to front, radiator, meter cupboard. Upvc double glazed window to rear, radiator, under stairs storage cupboard. Range of fitted wall and base units, worktops, sink unit, plumbing for washing machine, cooker point, space for fridge/freezer, towel radiator, upvc double glazed window to side and door to exterior. Upvc double glazed window to rear, radiator, spotlights. 3 piece modern suite comprising of panel bath with mixer, pedestal wash hand basin, low level wc, radiator, light tunnel.